Provides step-by-step instructions, and tips on color, for drawing 17 different insects such as termites, slugs, leeches, cockroaches, flea, mosquito, praying mantis, dragonfly, tarantula, and daddy longlegs and more. 48 pgs. Ages 12 & up. Great for adults too. 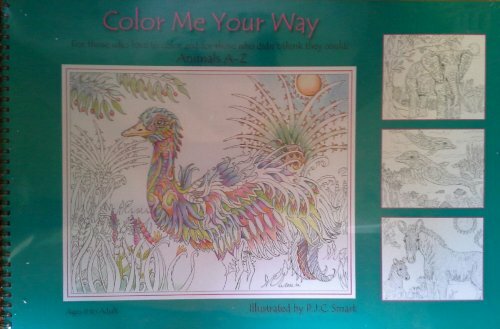 For those who love to color and for those who didn't think they could! Contains 26 gorgeous 16" x 11" illustrations printied on quality acid-free paper. Printed on only one side so that you can finish each masterpiece and frame it and gift it. Camel, hippo, frog, giraffe, tiger, wolves, owls, and more. Ages 8-adult! 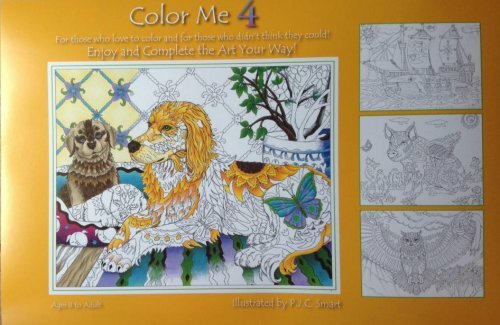 For those who love to color and for those who didn't think they could! 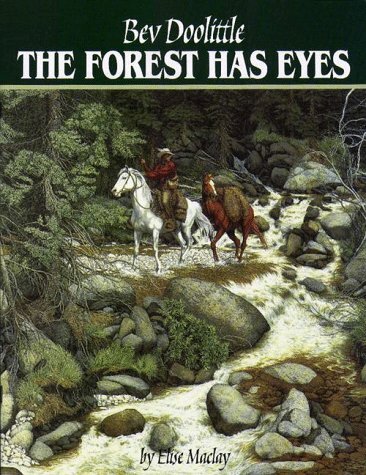 Contains 26 gorgeous 16" x 11" illustrations printied on quality acid-free paper. Printed on only one side so that you can finish each masterpiece and frame it and gift it. Wolf, deer, bear, sealion, horse, parrot, cow, peacock, cat, llama, squirrel, and more. Ages 8-adult! 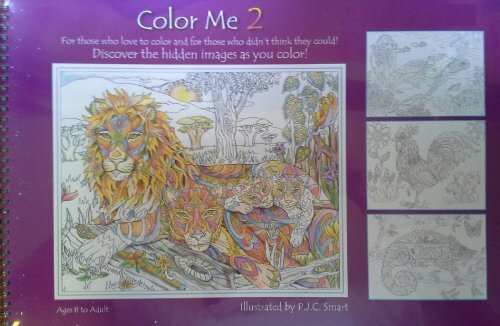 For those who love to color and for those who didn't think they could! Contains 26 gorgeous 16" x 11" illustrations printied on quality acid-free paper. Printed on only one side so that you can finish each masterpiece and frame it and gift it. Eagle, duck, frog, owl, bear, bighorn sheep, sea chest, and more. Ages 8-adult! Step-by-step instructions of how to draw cats. This book brings to life Siamese, Persians, lions, tigers, panthers and such celebrity felines as Felix, Top Cat and Snaggle Puss. Ages 9 & up. 64 pgs. 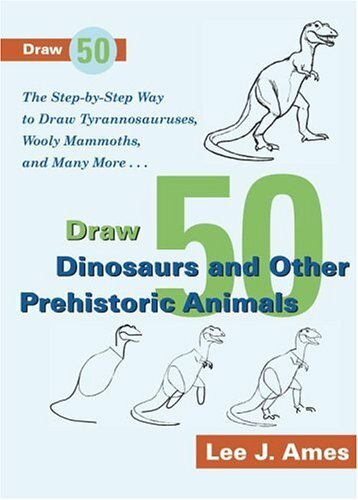 Step-by-step instructions of how to draw prehistoric animals. The tyrannosaurus rex, brachiosaurus, triceratops and moa burst out in terrifying splendor to the delight of all dinosaur fans. With a foreword by George Zappler, Director of the Staten Island Zoological Society. Ages 9 & up. 64 pgs. 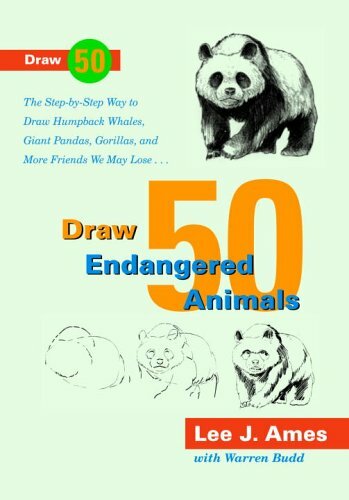 Step-by-step way to draw humpback whales, giant pandas, gorillas, american crocodile, Indian python, Chinese river dolphin, California condor, Virginia big-eared bat, ostrich, cougar, Siberian tiger, Bision, rhino, lion-tailed macaque, & many more furry friends we may lose. Successful for children & adults. Ages 9 & up. 64 pgs. Educational & reproducible silhouette art of 161 farm animals. Excellent for teachers for the classroom or for kids. Ages 9 & up. A brief biography of the artist and sculptor accompanies fifteen color reproductions and critical interpretations of his work. 28 pgs. Ages 9-12. 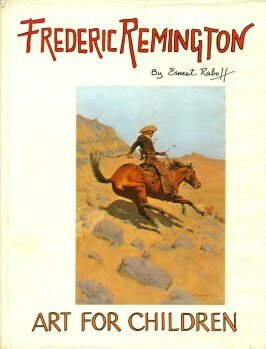 This book begins by introducing children to good basic practice, such as organizing the work space, & goes on to describe techniques like measuring. The priciples of composition are explainedand different materials & techniques are discussed. 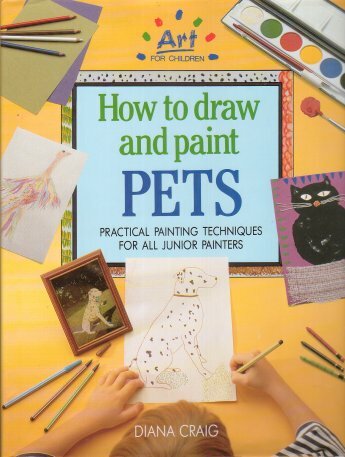 It looks at ways of simplifying drawings, the problems of drawing moving animals, & how to draw every conveivable kind of pet - from cats, dogs, & horses to rabbits, reptiles & rodents - and even pet spiders. Includes clear step-by-step pictures, attractive layout & illustrations. 93 pgs. Ages 7-12. This exciting series provides a practical introduction to how to draw pictures that look really professional. The books are an ideal starting point for anyone who would like to be able to draw. Along with simple, step-by-step examples to follow, there are lots of experts' tips and hints to explain different techniques and materials used. 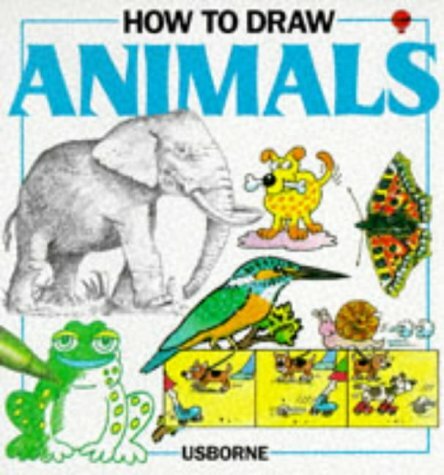 Pets, farmyard animals, ferocious crocodiles and tiny ants - learn how to draw them all in How to Draw Animals. There are simple methods for getting the shape and proportions right, with tips on how to show different textures for fur, skin and hide. 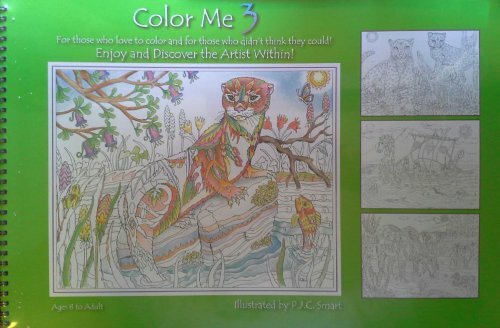 The book includes ideas for different drawing styles, such as watercolors, pastels and cartoons. Ages 9 & up. 32 pgs. This exciting series provides a practical introduction to how to draw pictures that look really professional. The books are an ideal starting point for anyone who would like to be able to draw. Along with simple, step-by-step examples to follow, there are lots of experts' tips and hints to explain different techniques and materials used. 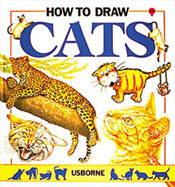 How to Draw Cats is crawling with all kinds of cats, from cuddly kittens and sleek Siamese to glamorous lions and tigers. 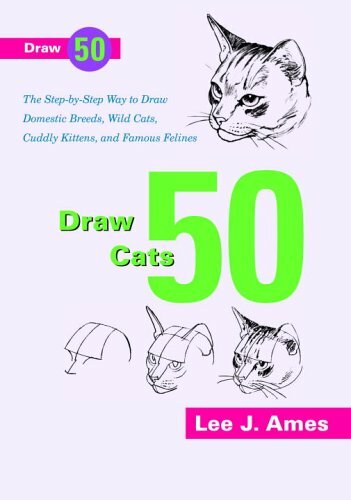 The book looks at how to capture a cat's supple, athletic shape on paper, and provides simple but effective techniques for drawing fur markings. Typical feline moods, expressions and movements are shown, and there are examples to demonstrate how cartoons can be used to portray cats' strong characters. Ages 9 & up. 32 pgs. Simple instructions for drawing a circus tent and the different human and animal performers & animals - tigers, elephants, circus train, clowns, jugglers, tight rope walkers, & more. Ages 9-12. 26 wipe-clean pages of early learning fun. 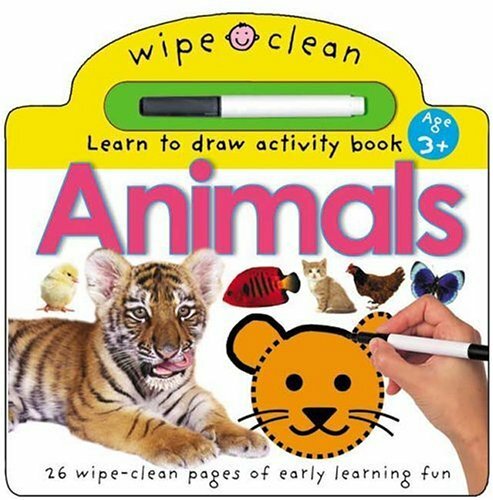 Finish drawing animals, learn letters, learn numbers. Comes with dry-erase marker. Ages 3-8. 26 wipe-clean pages of early learning fun. Complete outlines of vehicles to help you learn. Comes with dry-erase marker. Ages 3-8. Creative drawing for children in simple, easy-to-follow steps. Ages 8 & up. 80 pgs. 6 ready-to-use stencils, exciting ideas for fun with stencils. Ages 8 & up. 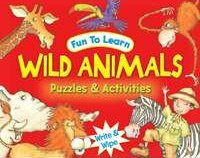 Young children will love learning about wild animals as they piece together the six 24-piece jigsaw puzzles in this book. 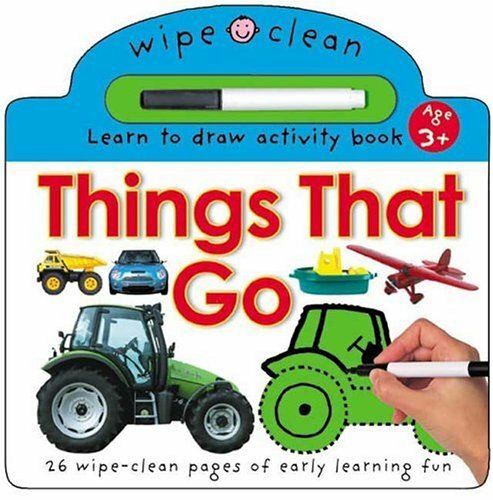 With fun write-on wipe-off activities and great facts under every jigsaw, children will find it's fun to learn - over & over again. Includes an erasable marker. Ages 5-8. Educational & reproducible silhouette art of 138 zoo animals. Excellent for teachers for the classroom or for kids. Ages 9 & up.